A pair of 700c rims for your road bike. 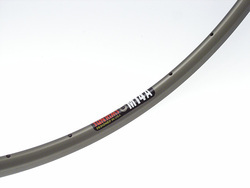 A great rim for racing, training or just riding. 28 holes, 18.5mm wide. 6061-T6 aluminum. 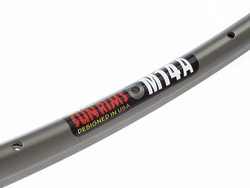 Anodized Grey - including the sidewalls. 420 grams each. Sold in Pairs - 2 rims at this price!